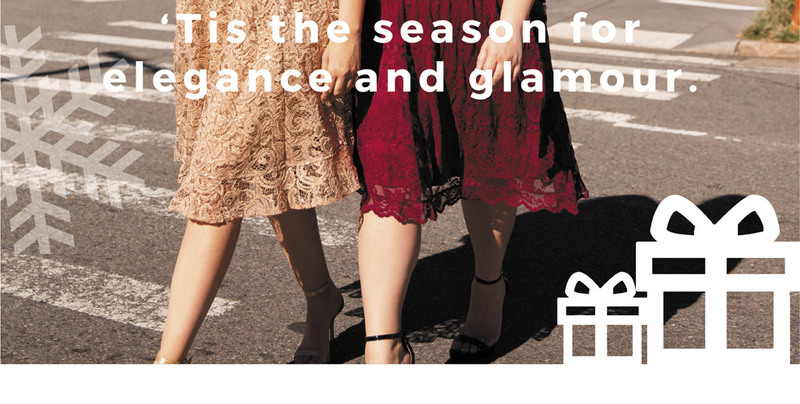 The holiday season is in full swing and we know you have plenty of cocktail parties and events to attend, so we’re giving you endless style inspiration for every RSVP in your social calendar. Our winter collection for 2018 is all about elegance and glamour. Adorn yourself with lovely sparkly lace or get into the spirit of the holidays with eye-catching sequins. Regardless of what style you choose for your next special occasion, you’ll feel confident and beautiful. Making a decision on what to wear to a party can be challenging, but you can never go wrong with a classic style. Our vintage-inspired Luna Lace Dress is one of those styles you’ll be reaching for time and again. Wear it to your upcoming company holiday party or show it off in your family photos. Take it for a spin again for a special holiday concert or dinner party. 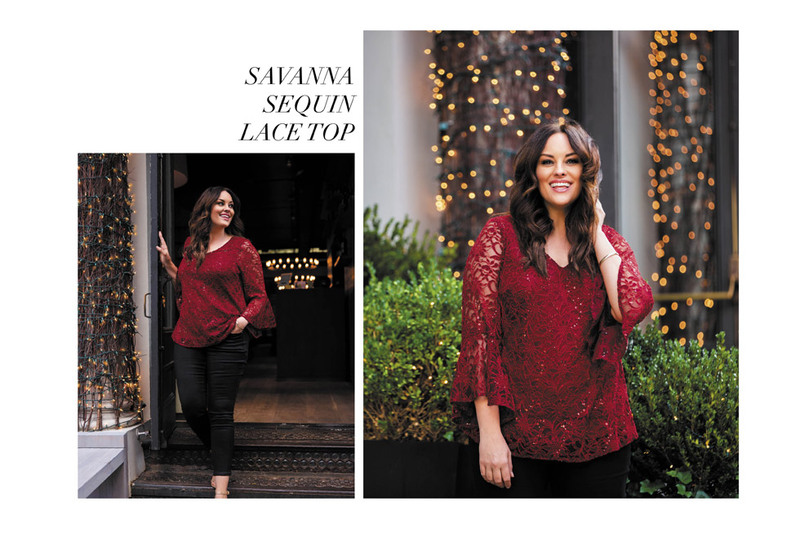 Add some casual, yet glamourous to your wardrobe with our new Savanna Sequin Lace Top. A sparkly upgrade from our Lauren Lace Top, this style takes your holiday spirit to the next level with stunning floral lace and sequins that catch the light and sparkle when you move. The ideal top for your office party, pair it with a pencil skirt or black ponte pants or leggings for a stylish outfit you’ll feel comfortable and chic in. The holidays are never complete without a great collection of cocktail dresses. When you’re feeling a little more dressy, flaunt your curves in our new Sofia Sequin Dress. This gold stunner won’t disappoint with pretty floral lace adorned with gold sequins. Want an option that’s sleeveless? Our best-selling Spotlight Cinch Dress is back in black with gold sequins for an edgier style that’s both playful and classic. Of course, we know many of you will have special galas and events to attend this holiday season, as well. 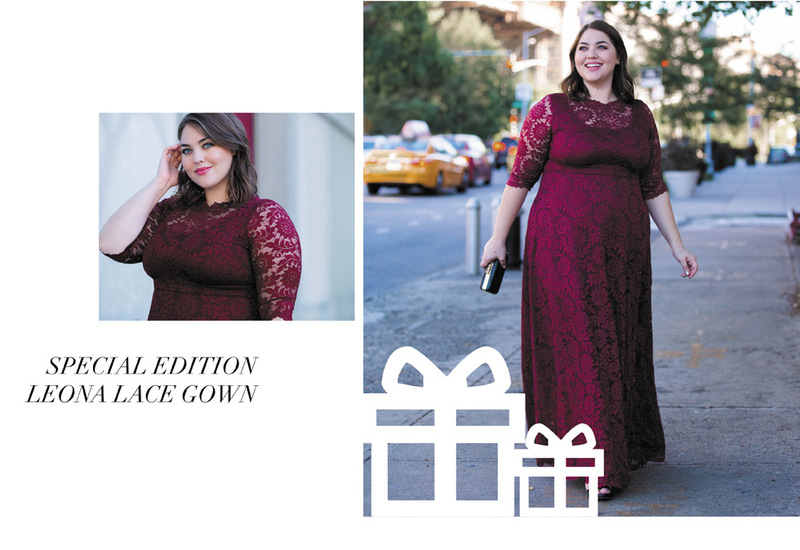 Our classic Leona Lace Gown is now available in a special edition lace with sparkle so you can shine wherever you go. There are also two new gowns in town that are sure to make a splash. This season, our Jasmine Lace Gown brings the drama and romance with scalloped lace and a full mesh skirt. If you’re loving our gowns with pockets, our Madeline Evening Gown is a must-have style.